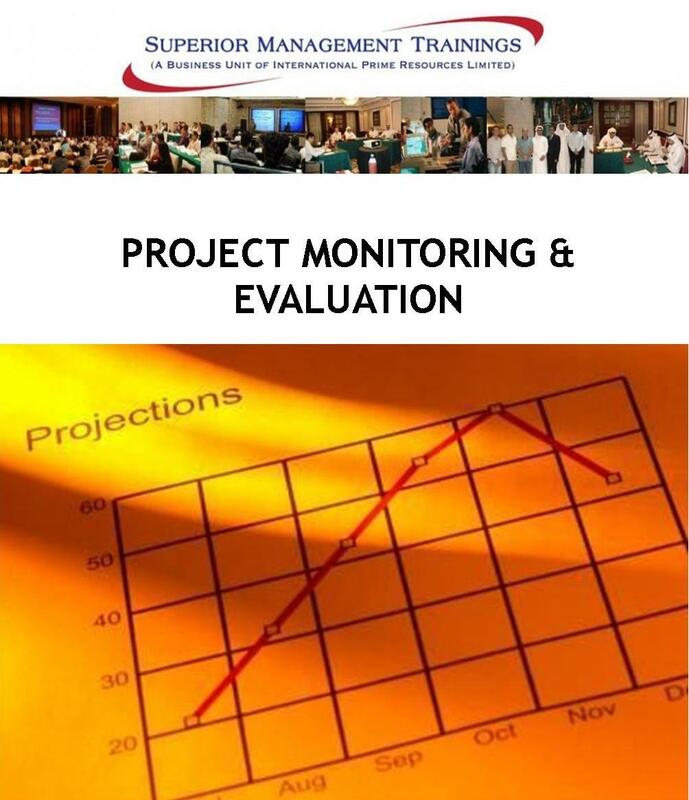 Monitoring and evaluation are essential to improving project effectiveness. Effective project monitoring allows a project team to make appropriate decisions on a day-to-day basis and ensures that projects are carried out as planned and modified when necessary. Evaluation enables a project manager to understand and demonstrate the results of their work, determine the best strategies for achieving the project objectives and document lessons learned to improve future programs. The methodology is based on experimental & interactive learning, i.e. participants will learn by doing. We will use short lectures, group discussions, individual & group exercises, case studies and activities. This program is a must for Project Managers, Project Controllers, Project Coordinators, Project Leaders, Project Officers, Project Engineers, Project Administrators and all those who must provide significant contributions in effective project monitoring & evaluation. If you are interested to attend our training course, you may submit your registration by filling out the form below and we will get back with you shortly.